We believe Jesus desires us to reach beyond our four walls to serve those in need, as we share the message of the hope of Jesus Christ to the world around us. And in each area where we have a presence this help may look different depending on the need. But together we strive to bring compassion into our hurting world, both locally and globally. The key word here is TOGETHER! We need you to participate! You may see an area that interests you below OR know of another area where our Pinnacle community can spread love and kindness. Either way, go to the Information Desk in the living room to get more information or call the church office. Jesus mandates that we feed the hungry, give drink the thirsty, clothe the naked, visit the sick and imprisoned and welcome the stranger. Won’t you join us today? Food Pantry: Located in the First Christian Church Building on Wolflin the food pantry provides much needed food to individuals and families around our community, as well as relational and spiritual support, as our team gets to know and pray for those who are in need of groceries. The pantry is open every other Thursday and feeds approximately 100 families a month. Your help would be greatly appreciated. 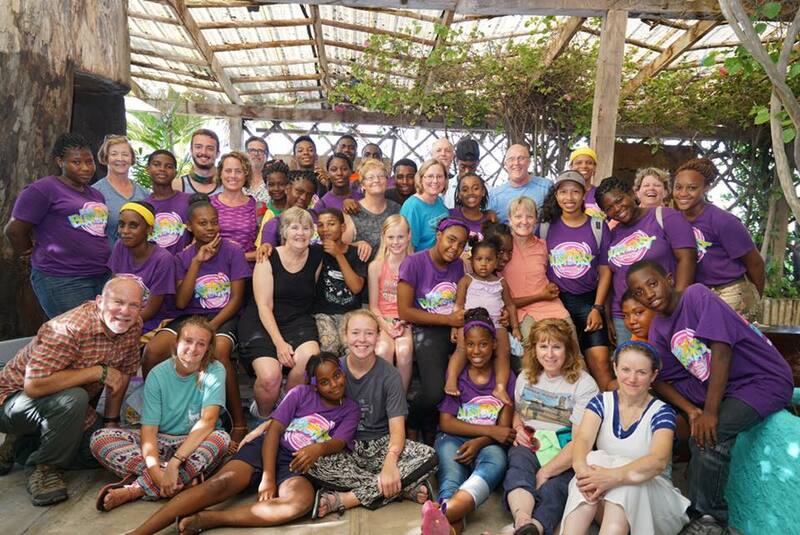 Mission Belize: Our involvement with our Sister Church in Belize has many ‘faces’. We have provided backpacks, school supplies, VBS material and much more. Atpresent the formation of the team to go to Belize for Summer 2017 is underway. We will work alongside our Sister Church in Belize City, helping with the construction of their building, as well as leading an in depth discipleship with their leadership team. Hospital ‘Angels’: You will be notified when a Pinnacle attender and/or their family is in need a visit and a prayer. Care Net: Opportunities are endless as this local organization spreads Jesus love by supporting young women and men who find themselves in challenging life situations.